Journey through the layers of the mind from Memo Akten on Vimeo. Ok, this is about the final chapter here. I have about 4 hours till I have to hit the final render button. Will I make the deadline for the Houdini Cook-Off? Keep the title, “Food for Thought“. Have it be cooked and/or eaten. Make sure I’m packed and ready with my desert gear for Burning Man… TOMORROW??? We still have an RV and trailer to pack. 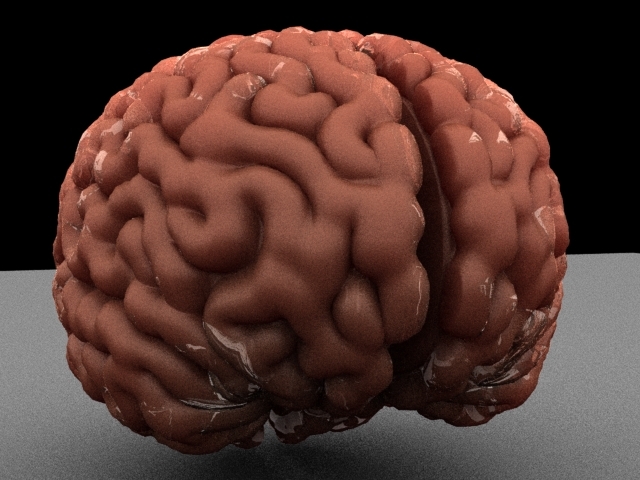 I started with a model I couldn’t use, because I didn’t build it, so how do you easily build a brain in Houdini? 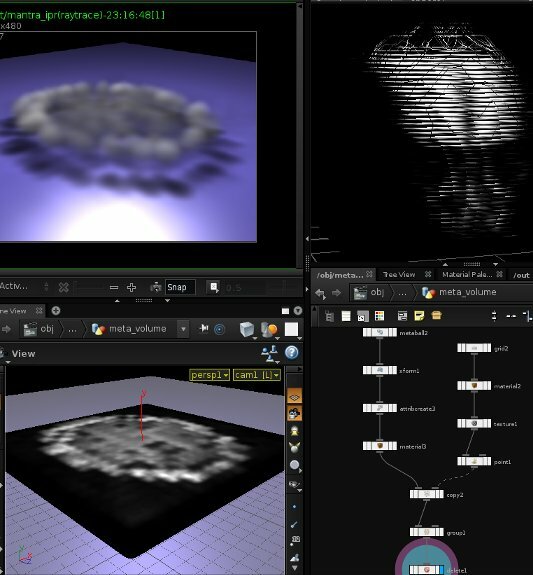 I tried to use MRI data to build my own brain geometry… via voxels. I got something working… BUT… I couldn’t make anything solid. It was very ghostly looking so I tried some nodes in Houdini which allowed me to create geometry, but the input data from an MRI scan is pretty dirty. I knew I need to somehow build a solid brain quickly. So, I’m stopping this R&D and I’m saving the MRI results for when I get my own personal brain scan next month (no joke). My Wacom isn’t working under windows (I know… weird), so this was helping me avoid 3DCoat for my sculpting. Starting over, I used a low-res smooth brain-like shaped object and painted on it. 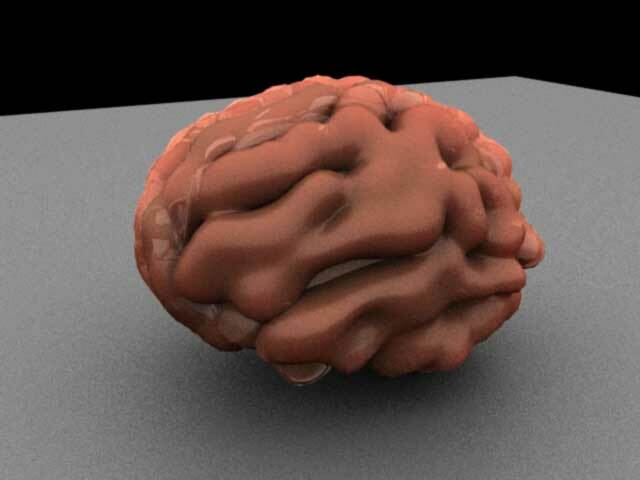 Using some procedural point operations, I created the wrinkle/sausage (gyrus?) 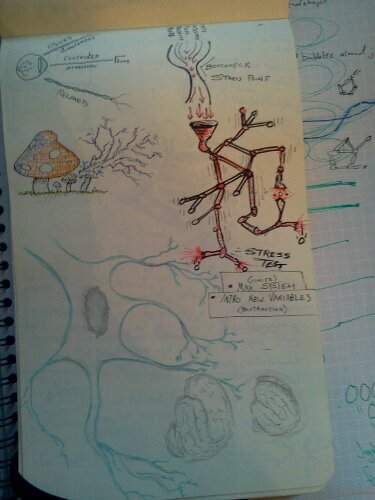 things on the brain. I don’t know Houdini’s shaders well enough to make realistic looking brain bread baking, so my limited time was spent on shaders, and all I’m really looking for is more BANG for my buck. 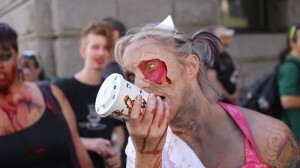 So, I’m setting aside my “baking bread brains” in coffee shops… for now! MWAHAHAHA!!! *note: Blanket hanging on chair in attempting to get rid of the echos while recording. Now, here I am with some undesirables that I’m trying to overcome. Using a small USB hard drive as my project drive. Doing my composting in Houdini. I changed the direction last minute (oh those crazy directors… hehe). 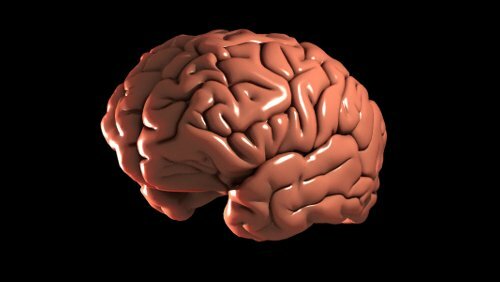 Modeling a brain sounds like a pain. Pulling points in the wrinkles is driving me insane. So I’m trying to puff it up with some baking. Step 1. Rebuild this from scratch. The gyrus need to be smaller and the sulcus (wrinkles) need to be more frequent. Step 2. Use this popping accident to my advantage. Ok, this looks more like a brain. MRI slices for a cloudy mind. 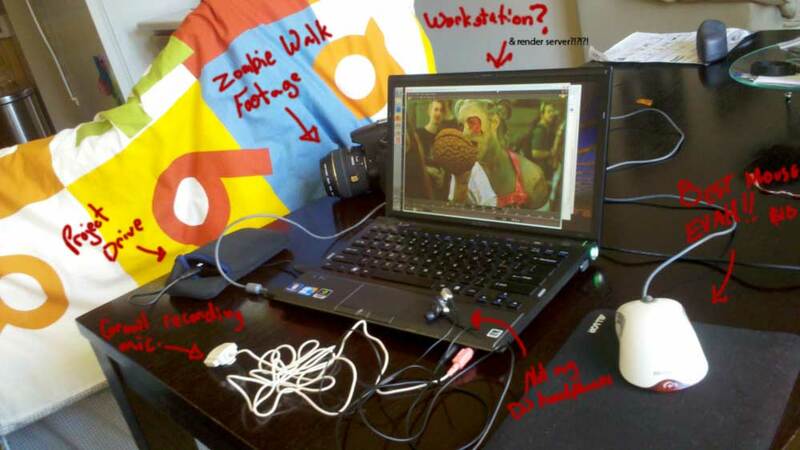 Some miscellaneous stuff jumbled together with my project brain-storming notes (pun intended). Just doing a little playing with a SSS shader in Houdini.